The active business development and achievement good sales of the product or service is possible only in a result of effective analysis and also a great desire of developers to improve their product, to make it the best, so that it will be liked by more people, meet their needs and solve their problems. The feedbacks, communication with users and application of Customer Journey Map (CJM) methodology are the best ways to achieve this goal, they allow one to reveal exactly what the users’ preferences are, what they like in your product and what they don't like, what irritates them and what helps. Customer Journey Map is a methodology, which assists in understanding the way that users pass during the interaction with your product: from the origin of a need in a product to the moment of its purchase and becoming a fan of the brand. It helps to visualize the interactions of the consumer with a product in a form of the map, to envisage the problem areas, to identify the imperfections, weaknesses and sore points in a customer practice. There are mapped the points of contact and interaction of users with the product, the barriers that arise at this interaction and that don’t allow the users to achieve the intended goals, as well as people’s habits, characteristics, preferences and emotions that arise at each step. Customer Journey Map is an innovative marketing solution that can help at different stages of the product's existence. This methodology provides an opportunity to look the most widely at the product, to find out how the different segments of the audience work with it and what steps they take on the way to their goal, to see and to understand the real aspirations of users. CJM is one of the most useful tools of the product managers, which allows to identify the points of the highest satisfaction with the product, to make quality decisions, to invent new ideas for the product development, which will effectively solve the user's problems and to make better the experience of people's interaction with your product. Customer Journey Mapping Solution extends the ConceptDraw DIAGRAM software functionality with capabilities of customer journey mapping. The included diagramming and customer journey mapping tools, predesigned vector customer journey mapping icons and charts, consumer journey mapping connectors, user journey and customer mapping figures, customer experience map icons and touchpoint icons, quick-start templates and samples provide excellent conditions for the customer journey mapping process, for creating Customer Journey Map and Customer Experience Map. This solution opens incredibly broad opportunities for marketing and business specialists, product managers, designers, engineers, and other specialists, who are interested in business development, increasing the product’s audience, in its success and users' demand. 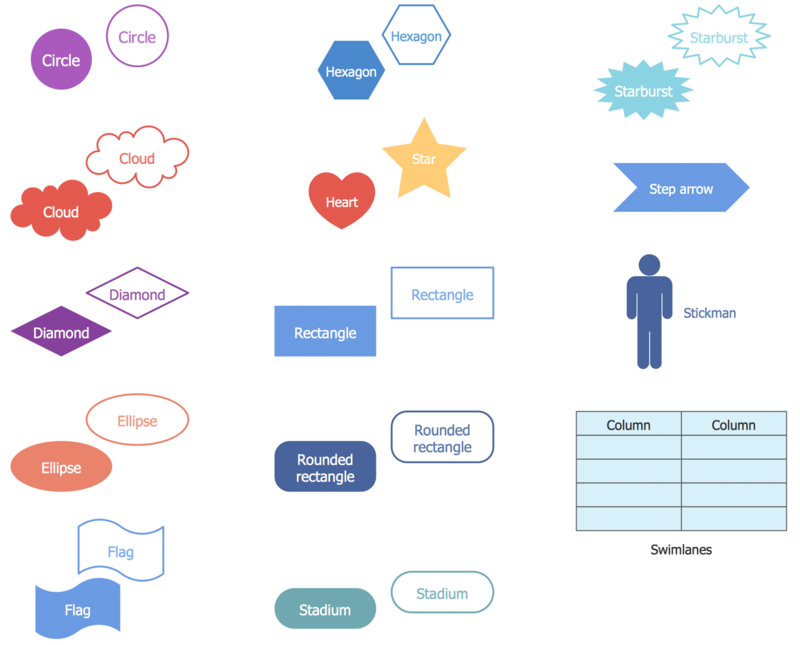 There are 6 libraries containing 219 shapes, 5 examples and 5 templates in the Customer Journey Mapping solution. There are a few samples that you see on this page which were created in the ConceptDraw DIAGRAM application by using the Customer Journey Mapping solution. Some of the solution's capabilities as well as the professional results which you can achieve are all demonstrated here on this page. 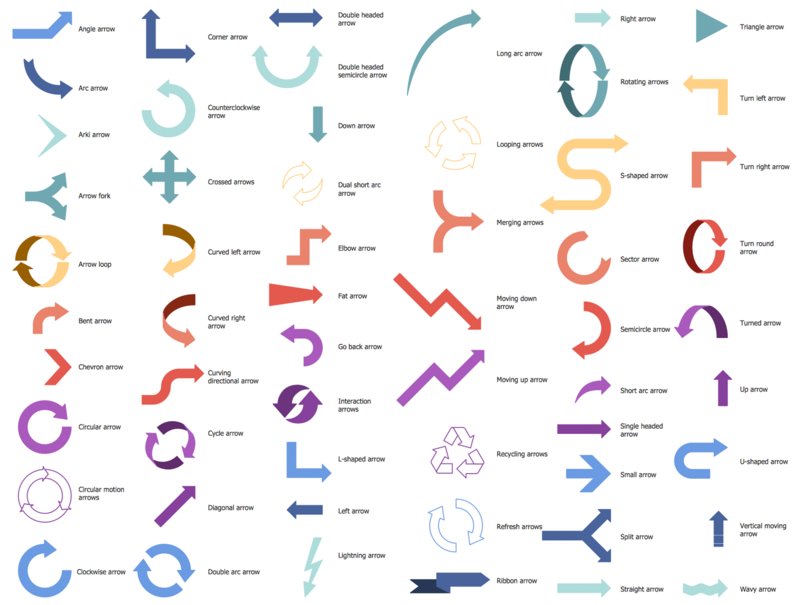 All source documents are vector graphic documents which are always available for modifying, reviewing and/or converting to many different formats, such as MS PowerPoint, PDF file, MS Visio, and many other graphic ones from the ConceptDraw Solution Park or ConceptDraw STORE. The Customer Journey Mapping solution is available to all ConceptDraw DIAGRAM users to get installed and used while working in the ConceptDraw DIAGRAM diagramming and drawing software. This diagram was created in ConceptDraw DIAGRAM using the combination of libraries from the Customer Journey Mapping Solution. An experienced user spent 35 minutes creating this sample. This sample represents the Customer experience map example that is dedicated to the extensive survey of choosing and using the railway in Europe. It was constructed on the base of a Wikimedia Commons file. The customer experience is a very important thing, which is formed on the basis of interactions between an organization and its customers during all period of their communication. A good customer experience is detected when it completely corresponds to the customer's individual expectations in all points of contact. Three main parts are presented on the diagram: guiding principles, customer journey, and opportunities. There are allocated the main stages of a customer journey: research and planning, shopping, booking, post-booking and pre-travel, travel, and post travel. For all steps are represented the images showing the doing steps. You can see the thinking questions, corresponding feelings expressions, and finally experience tips. The lower part of the diagram represents the opportunities. This diagram was created in ConceptDraw DIAGRAM using the combination of libraries from the Customer Journey Mapping Solution. An experienced user spent 10 minutes creating this sample. This Customer Journey Map sample was designed basing on the Customer journey with touchpoints English.png from the Wikimedia Commons. The Customer journey map reflects all history of the customer's experience and gives a perfect ability for organization to learn better its target audience, to get as much information as possible about the customers, the key stages and key moments of customer's interactions with a given organization, about user's motivations and questions, as well as feelings at each of the touchpoints. At this, the information about customer journey's time frames, channels and actions is very important, especially first actions and last ones in a form of recommendations, subscription renewals, etc. You can see the following steps at this diagram: Awareness, Consideration, Purchase, Retention, Advocacy, and groups of elements related with each group. The belonging to a certain group is clearly shown by means of visual separation of elements with the help of different colors. This diagram was created in ConceptDraw DIAGRAM using the combination of libraries from the Customer Journey Mapping Solution. An experienced user spent 25 minutes creating this sample. This Customer Journey Map sample illustrates the veterans affairs services and was made in ConceptDraw DIAGRAM software on the base of image published on the U.S. Department of Veterans Affairs website, in July 2014, at the "Towards a Veteran-Centered VA: Piloting Tools of Human-Centered Design for America’s Vets" findings report. This sample reflects the common trajectories in a process of engaging with the veterans affairs (VA), which are considered as the touchpoints in a service ­member’s transition. There is also fixed the positive and negative experience associated with each stage of the transaction. On the resulting Customer journey map, you can see the key intervals in a period between a veterans' release from the service until the moment when they are approved for receipt of the veterans affairs benefits. For the visual effect, the positive experience is colored with purple on the diagram, the negative experience - with yellow one. This sample shows the Linda's journey map. Based on the illustration from the USA.gov blog, namely from the post "Journey Mapping Our Customer Experience", it is a good example of a customer’s end to end journey with a product or service. The journey map describes the entire journey of a customer from the first contact with an organization, or even before it, and to the end of this contact, so it is an effective tool to explore the experience and key interactions with your organization, product, or service. In other words, a Customer journey map can be named a story of the customer's experience. Step by step in a precise form, this map reflects the stages of journey, activities, feelings and needs, and potential opportunities for improvement. This map can be used to help an organization in achievement desired goals, in ensuring a competitive advantage, in development an optimal experience. This sample represents the Supplier journey map, which was designed basing on the illustration for the "CX Day in government: How we all shape the customer journey" post placed at the U.S. General Services Administration blog. The Office of Customer Experience is a helper of General Services Administration in creation of an extended map of customer relationships, development and piloting new ideas through the eyes of customers, as well as bringing the business lines closer to the customers. This journey was mapped in a result of interviewing suppliers passed by the business specialist Jill. The Schedule 70 contract award allowed to inform in a best way about the process and employees experience improvements, and to develop the Action plans basing on feedbacks. Having the ConceptDraw DIAGRAM software you can realize the journey mapping the most effectively, it is helpful in creation of the customer experience, development the Journey maps and outlining recommendations for different categories. This Customer Journey Mapping (CJM) template was constructed in ConceptDraw DIAGRAM software at the support of Customer Journey Mapping solution tools. The Customer journey map is used to show the story of the customer's experience. The use of this Customer Journey Mapping template can significantly help in customer journey mapping with ConceptDraw DIAGRAM software and also in creation of the Customer experience maps. The customer experience (CX) basing on the communication and obtaining during the interactions between customers and an organization, is a very important item. Typically, the communication of customers and organization has three major moments, such as the customer journey, the customer's touchpoints and interactions with brand, and environment in which it stands during its experience. This template prepared in a tabular form is a good base for your own similar maps. It is ready to represent the doing, thinking and feeling points for awareness, research, purchase, fulfilment, service, retention, and loyalty. This diagram was created in ConceptDraw DIAGRAM using the combination of libraries from the Customer Journey Mapping Solution. An experienced user spent 15 minutes creating this sample. This template Customer Journey Map has as the basis the Customer journey mapping diagram taken from the website of UK Government Communication Service (GCS). A Customer journey map is a perfect way to outline the results of customers interactions with your organization, the customers' experience, their thought processes, the emotional responses and reactions to your organization. All this information creates a nice base for improvement and innovation in a customer's experience, lets one identify the critical points and fails, and can be used as a great aid in taking the key management decisions. The fully ready, predesigned, arranged and colored, it is perfect for entering your own data and texts. This sample was designed in quite calm but interesting color gammas, nevertheless its coloring can be changed in seconds in any moment, if needed. Succeed in your organization's development using the customer journey mapping strategic tool and ConceptDraw DIAGRAM software. This Customer Journey Map template is intended to simplify the customer journey mapping with ConceptDraw DIAGRAM software. With the rise of WWW (World Wide Web) and development the social media and digital promotion, the enterprises and organizations have now incredibly enormous opportunities to be successful and to develop with confidence. Today, the customers are considered as one of the main product experts, who using the products and services form a substantial opinion. In this regard, there are developed and applied the new modern special tools allowing one to use effectively the customers values, to analyze the customers journeys and to easily construct the plan how to create exactly the best products and services, so to gain the competitive advantage quickly. The Customer journey map helps to identify the customers feelings and opinions on your product or service on each stage of interaction with it, that contributes for taking the reliably correct marketing and management decisions. This Customer journey map template was designed in ConceptDraw DIAGRAM software in a result of applying the Customer Journey Mapping solution tools and taking as the base the illustration for the "Journey Mapping Our Customer Experience" post at the USA.gov blog. We have several phases and the steps corresponding to them, the curve with marked feelings at the key points, and also listed opportunities. The journey mapping process allowed to identify the gaps in customer’s experience and the pain points, so to analyze the results, to make conclusions, to evaluate the situation, to prioritize areas for improvement, to understand better the employees, and finally to undertake actions for elimination the identified deficiencies. It's an exciting idea to mark key points with emoticons and to divide with color shades the steps belonging to different phases. Try to create your own Customer journey map basing on this CJM template and you will ascertain how easy is its creation. This Customer experience map template is a ready-made basis for a quick start in customer journey mapping with ConceptDraw DIAGRAM software. It is dedicated to the railway travel, but despite this, on the base of a given template can be realized the service design and constructed the Customer experience map for any other sphere of services you are interested. The service design is a very important activity, which includes the communication and material components, and the intensive work on planning and organizing people. Its main goal is the improvement of quality and interactions between the service provider and its customers. This template is fully ready and well-designed map, stylish and executed in colors that are pleasant to look at. 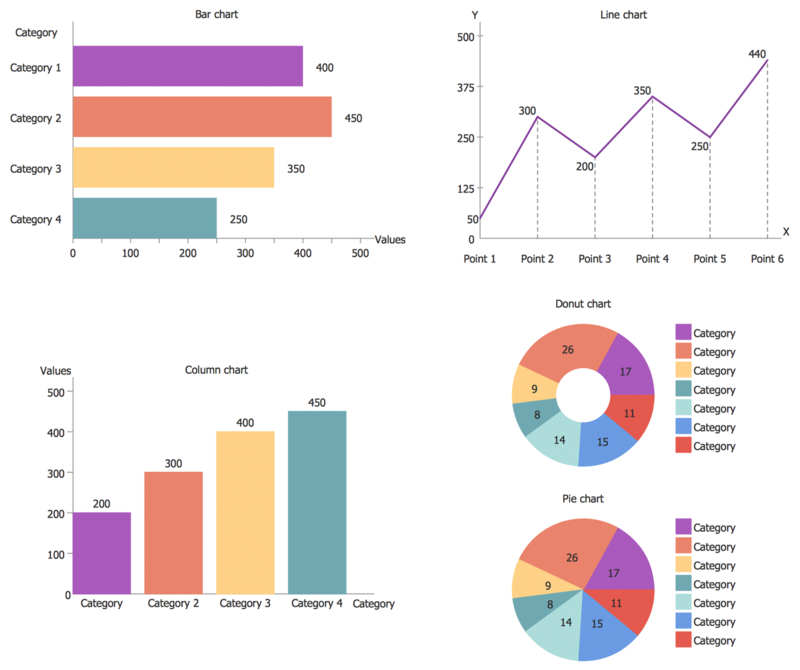 Is your report designed in a different color style? Don't worry and simply recolor the filled template in a few seconds. In a bottom of template, you can find the legend exposing the meaning of the used symbols. Both ConceptDraw DIAGRAM diagramming and drawing software and the Customer Journey Mapping solution can help creating the marketing and sales communication diagrams you need. The Customer Journey Mapping solution can be found in the Marketing area of ConceptDraw STORE application that can be downloaded from this site. Make sure that both ConceptDraw DIAGRAM and ConceptDraw STORE applications are installed on your computer before you get started. After ConceptDraw STORE and ConceptDraw DIAGRAM are downloaded and installed, you can install the Customer Journey Mapping solution from the ConceptDraw STORE.